Blood rains from the sky in the moody new trailer for American Gods, the long-anticipated adaptation of Neil Gaiman’s fantasy tome due to premiere via Starz late next month. Summoned to the small screen under the watchful eye of Hannibal creator Bryan Fuller, fans of Gaiman’s award-winning novel needn’t worry that Starz’s rendition of American Gods will shy away from the source material; as the trailer above attests, Fuller will call upon his experience dealing with on-screen blood and violence when orchestrating the battle between the olds gods and the new. At the forefront of that war is Shadow Moon (Ricky Whittle), an ex-con sleepwalking through life following the sudden death of his wife. He soon comes into contact with the all-powerful Mr. Wednesday (Ian McShane), and together they embark on a cross-country mission. In short, the older gods are wrestling with an existential crisis. Pushed to the sidelines in the face of Media (Gillian Anderson) and other newfound religious beliefs, the traditional deities call upon the help of Shadow Moon to win the fight. Among that cast of eclectic beings are Low Key Lysmith (Jonathan Tucker), Easter (Kristin Chenoweth) and Bilquis (Yetide Badaki), and the New God known as Mr. World (Crispin Glover), along with brand new characters reworked specifically for the show, such as Corbin Bernsen’s Vulcan. 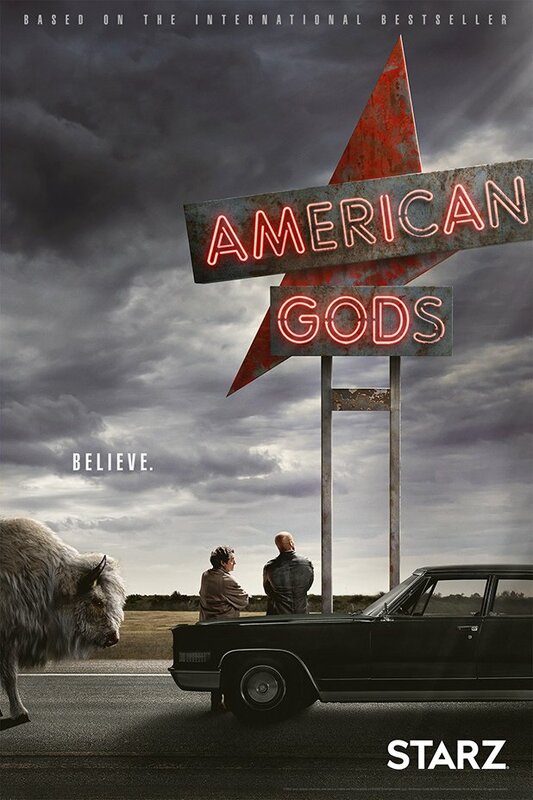 American Gods graces Starz on Sunday, April 30th at 9:00 pm. The only question now is, will you be tuning in?